Dr Jane Leonard is a GP and cosmetic doctor. 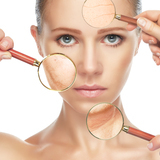 She specialises in skin conditions, antiageing medicine and bio-identical hormones. Dr Leonard achieved a first class honours degree in Anatomical Sciences, specialising in head and neck. She has also spent time in dermatology research and has had her worked published in Australia.